Towers Cinema building as it stands today. One of east London's last remaining Art Deco cinema buildings will be knocked down and replaced by a supermarket. The 80-year-old Towers Cinema Building in Hornchurch High Street will be bulldozed despite locals opposing the scheme. Hundreds of residents petitioned Havering's councillors to protect the cinema, and allow the Everyman Cinema chain the chance to rescue it. But despite the opposition, the building will be demolished to make way for a Lidl store. The old cinema's distinctive facade will be removed and the 1930s building replaced with a glass-fronted supermarket. 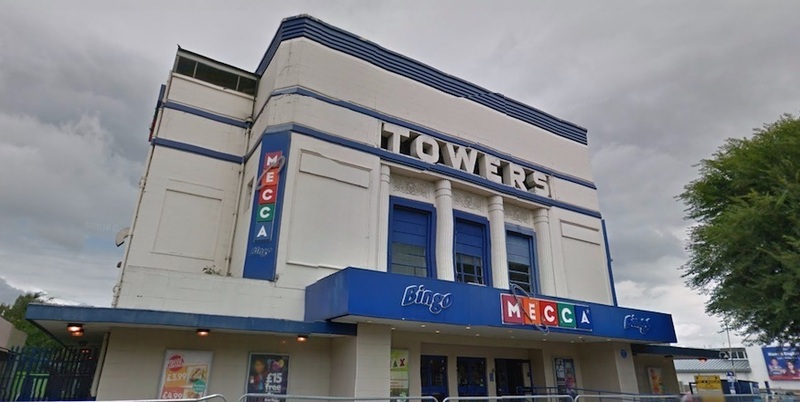 The Towers Cinema. Picture from the Modernist Britain website. Hayley Johnson has led the campaign to keep the Towers building intact, including running the Save the Towers Building In Hornchurch Facebook page. She told the Evening Standard, "Once it’s gone, it’s lost forever. It’s distinctive and we don't have much history left around here. It survived the second world war. "It’s a shame that another building will be lost and instead we will get a typical-looking supermarket building." Mrs Johnson added that there were already six supermarkets in Hornchurch, and three within half a mile of the Towers building. The Towers. Photo from the Modernist Britain website. 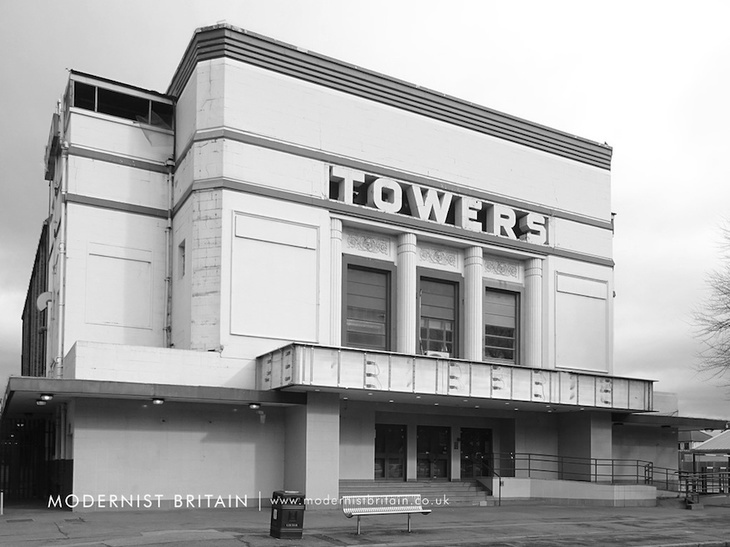 The Towers Cinema opened on 3 August 1935. The original building had a fully equipped stage with dressing rooms, a ballroom and a cafe. It was taken over by Odeon in 1943, and operated as a picture house until 1973, when it was converted into a bingo hall. It closed in November last year, when it was sold to Lidl for a reported £8 million. Lidl says it plans to retain the Towers lettering and create a public art installation in store, adding that the supermarket will create up to 40 jobs, and represents a multi-million-pound investment in Hornchurch. The supermarket is holding a consultation on 31 August, between 5pm and 8pm, and has invited around 10,000 Hornchurch residents.